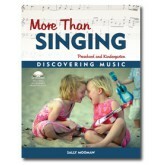 This book features more than 100 musical activities; it has ideas for creating songs, instruments, music centres, and extensions into language, science, and maths. 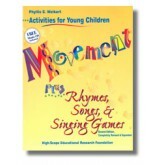 A newly revised collection of engaging movement activities for children Use them during circle time, small-group time, or transitions. 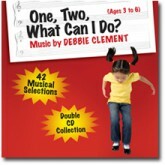 Includes CD with colourful music to accompany activities in the book. 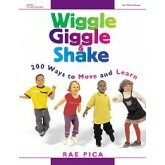 and improve age-appropriate large motor skills, develop body awareness and control. 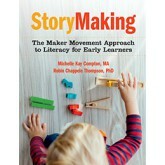 Enhance children’s physical, social, emotional and kinaesthetic learning with movement activities while creating structure throughout your day, including greetings and goodbyes, group time, transitions, and quiet time. Encourages children to think and solve problems, to recognise and explore their feelings and to participate physically in their own learning.